Music Box Of Horrors 2018 Is Almost Here! Music Box Of Horrors returns to The Music Box Theatre with 24 Hours of complete Movie Madness from Saturday, October 13ththrough Sunday, October 14th. This year’s homecoming will be bigger, scarier, and deadlier than ever! The 2018 Horror marathon celebrates the 30thanniversary of CHILD’S PLAY with special guest Don Mancini in person. Other attendees include Kevin J. O'Connor from LORD OF ILLUSIONS and a live score performed by False Gods Trio to Alfred Hitchcock’s THE LODGER. 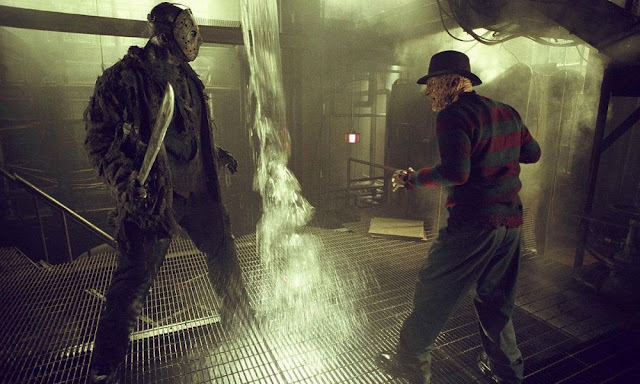 FREDDY VS. JASON amongst many other titles will screen at this year’s Music Box Of Horrors. Music Box of Horrors spans from Saturday, October 13th through Sunday, October 14. The Music Box Theatre located at 3733 North Southport Ave. For tickets and further information, please click here.